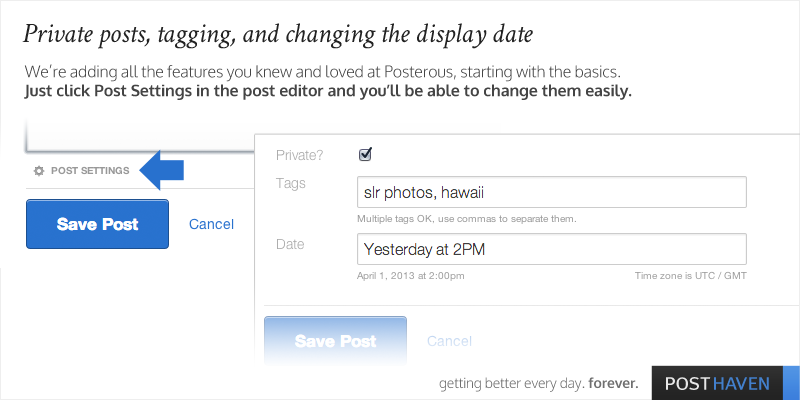 How does the private post feature work? I took the URL and pasted it into another browser and read it. I sent it to my wife and she accessed it as well. So that means that anybody who has that URL can read the post then, right? I don't quite understand how this works. I had hoped that by choosing the same date setting for a number of posts that I made yesterday they would all be posted at the same time and my "contributors" would get just one email alerting them to the posts. However to get the date function to work I had to enter a tag. I really don't know what a tag is or its function. Any way I made up a tag for each posting, but so far no emails have gone out to contributors even though I set the display date as December 25 at 11 pm.